The Sentinel of the Caprock Observatory was a small private observatory located on the Texas High Plains near Lubbock, Texas. 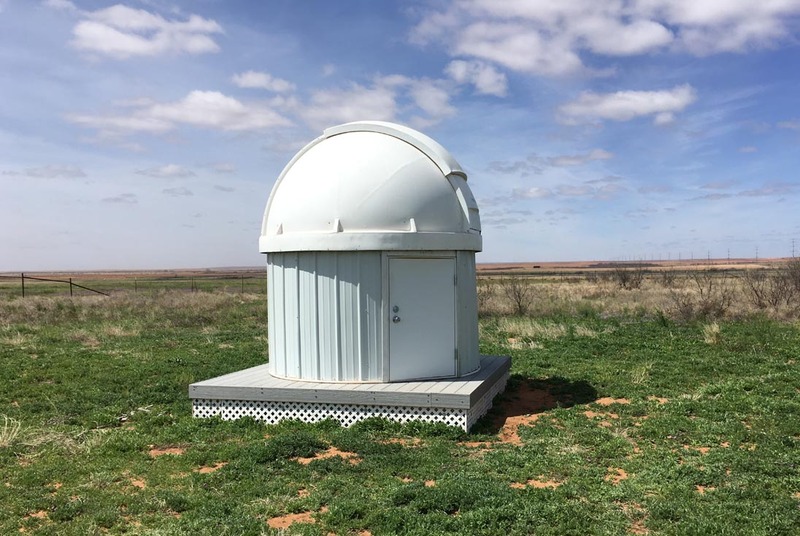 In December 2018, the Sentinel of the Caprock Observatory (SOCO) was de-commissioned and removed from the location it had occupied in Lubbock County, Texas, since 2012. It was moved to a new dark-sky site in King County, Texas, and re-commissioned as the Cat-Star B Observatory. Here it joins a group of observatories established to take advantage of the dark skies present at this site. At this new site, Cat-Star B contains essentially the same set of equipment as SOCO. While SOCO no longer exists, this website will be maintained to preserve the information and imagery it contains. Cat-Star B Observatory, formerly SOCO, at its new location at the dark sky site in King County, Texas.